We all struggle with angry feelings, brought on by tension, pressure, and the blocked goals and frustrations of day-to-day life. The broken and stressed relationships that result from these feelings can overwhelm us. But there is hope. With the right help, you too can overcome those emotions that destroy. 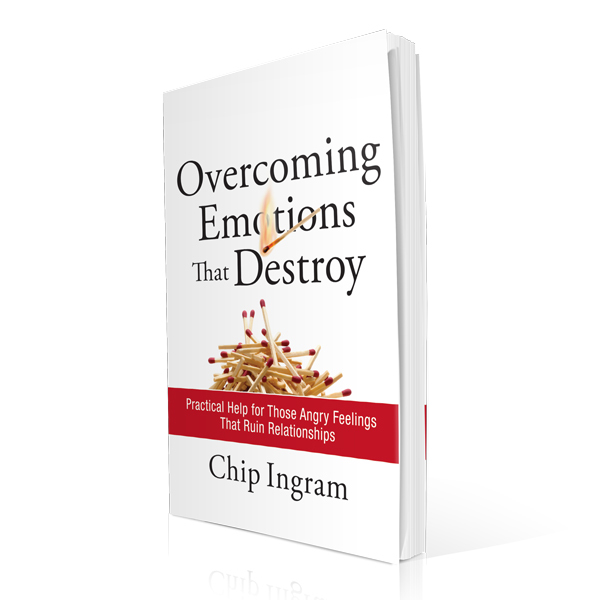 In this practical series, Chip Ingram will help you learn how to identify the unhealthy ways you respond to anger, uncover the feelings underneath your anger, as well as choose God-given, emotionally healthy ways to control your anger. You will learn through solid biblical principles, as well as the psychological aspects of our emotions, that anger can actually be a positive tool used by God to transform you and your relationships.